For this reason, many companies are holding webinars to help their community learn. Webinars are a popular method for companies to go in-depth about a specific topic of their choosing. Attendees can send, receive, and discuss information in these presentation in real-time. Successful webinars are critical to business growth because they build trust with your audience and attract a steady stream of qualified leads. In this post, we show you the biggest benefits of webinars for both hosts and attendees. By the end, you'll know how webinars can support your lead generation efforts. Let's cover why webinars are critical to your business growth! Keeping brands highly visible in any industry is a constant battle. A webinar is the perfect tool to share your expertise on niche topics. This tool builds credibility with your audience. Your potential customers will follow your company's developments and are more likely to purchase your products. At the end of the day, the goal of any marketing effort is to make sales. You can align the content of your webinar to show why your product is the ideal solution and generate more qualified leads. However, be sure to build trust with your audience by sharing useful expertise before bringing up your products and solutions. One of the best advantages of hosting a webinar is the low cost. No longer do you have to deal with the costs of running a physical conference or seminar. Webinars can be recorded in the convenience of your office. In fact, modern webinars use affordable software to make the entire process virtual. It's rare that your customers have a chance to interact with your company's leadership. But, webinars break down this barrier to access. Typically, webinars are led by people with a leadership role and domain expertise at a business. Your audience can put a name to a face and develop a personal connection to your company. 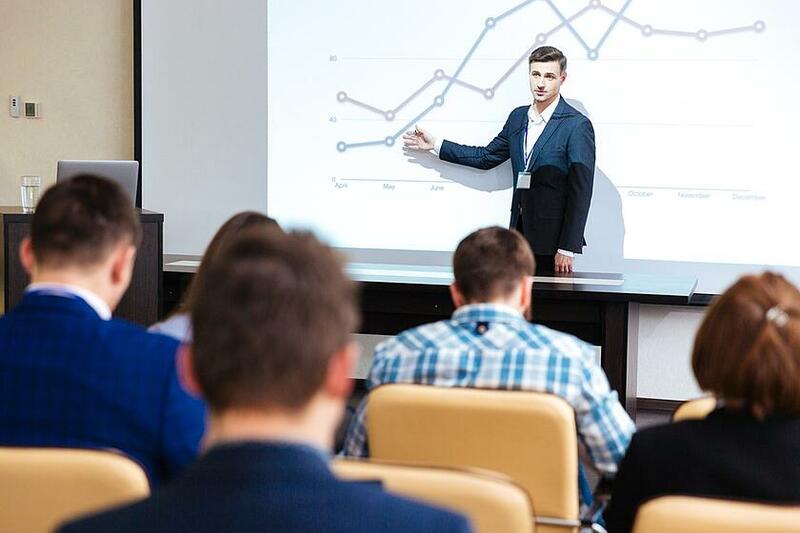 Webinars avoid having a "show up or miss out" approach like traditional seminars. Instead, people who register are often sent access so that they can replay the webinar whenever and wherever they choose. This convenience makes webinars easy for your community to consume and reuse. Users want to engage with companies to build trust before committing to a purchase. A major benefit of attending a webinar is seeing complex ideas explained step-by-step. Attendees can also submit questions to be answered by industry experts in real-time. Just like crafting great content takes a clear strategy, a well-run webinar needs smart planning. By teaming with digital marketing experts, you can learn how to craft, record, market, and host your webinars. Find out how to define the right target audience to make your next webinar a big hit!